'road-map' for the purpose and revitalize its departments relating to studies of Sikh gurus and scripture, said Vice Chancellor Dr Jaspal Singh at the valedictory function of two-day national seminar on 'Guru Granth Sahib: global sarokaar' (Sikh Scripture and its Global Perspective) concluded here on Thursday. It all the more unfortunate that even people of native areas of Bhagat Kabir are not aware that religious writings of this great saint have been preserved and included in Guru Granth Sahib and reverred by the Sikhs at par with that of Sikh Gurus. Similarly, a majority of Muslims are ignorant that their 'bani' of their sufi saints like Baba Farid and six others has been given a lofty and respectable place in the Sikh scripture, thus representing an anthology of religious culture and lore the Indian subcontinent as a whole, Dr Singh said. Highlighting the universal reach and approach of the sikh scripture, the Vice Chancellor said the Sikh theology carries all traits, that make it a lofty world philosophy of life as it transcends narrow barriers and restrictions of regions, countries, social constructs, gender bias and caste and creed discrimination's. Besides, the Sikh scripture offers a complete religious thought which guides the man on how to live a fullest life in harmony with others and also without disrupting the environment and ecology that feed and shelter living species on the earth, he added. In the changed present world scenario known as an era of globalisation in which State governments are 'socializing the financial losses of the big business leading to the spread of yawning social and economic inequality and terrorism is raising its ugly head , the Sikh scripture with its teachings on ' how to lead a life of contentment and co-existence' has become all the more importance for evolving a new world order and bringing about peace world over, the Vice Chancellor said. 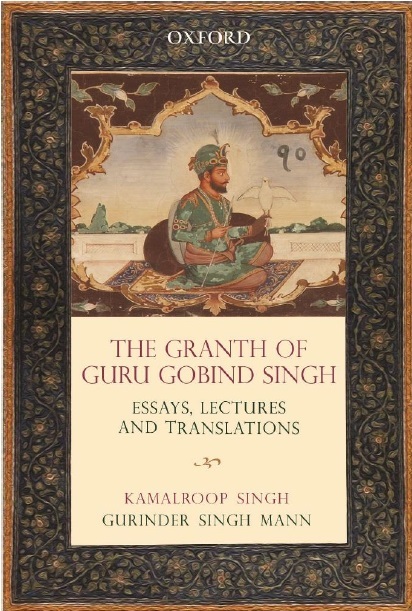 According to Dr Sarabjinder Singh, Chief Coordinator as many as 20 papers were read out and debated by eminent scholars at the seminar projecting the uniqueness of the Sikh scripture for its principles and philosophy being written by Guru Nanak and other Gurus themselves while scriptures and traditions of other religions were penned down not by their prophets but by their followers decades who stepped in their shoes thereafter. In this way, the Sikh scripture is a " revealed one' and has been addressed to humanity at large not to a particular group of people as being misunderstood now. Among the scholars who presented their research papers were Dr Rama Kant, an eminent scholar of Vadanta, Dr Pirthipal Singh Kapur , Father Dr M.D Thomas , a Christian scholar , Dr Akhtar-Ul Vasee , an Islamic scholar, Dr Amarjit Singh Sidhu and Dr Amarjit Singh Grewal. In his paper, Former head of Guru Granth Sahib Studies Department Dr Balkar Singh said the pluralism of Sikh theology could build a braidge with other religious thoughts and people. Dr Jaswant Singh Neki, who has been conferred with the title of "Professor of Eminence" by Guru Granth Sahib Deaprtment of the University said Guru Nanak never preached and sermonised to the people at large from a pulpit but sung the scripture among them and elevated their inner self for doing goodness in their lives.